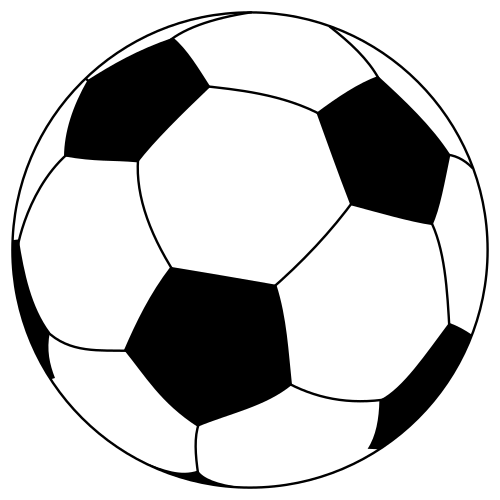 Drawing of a typical soccer ball. See image:Soccerball shade.svg for a shaded version. 06:19, 2 feb 2019 500 × 500 (1 Ko) MapGrid Reduced file size. Specified nominal size in pixels instead of points.